• The Miramichi Reader reviews Raymond Fraser’s last book, Through Sunlight and Shadows. 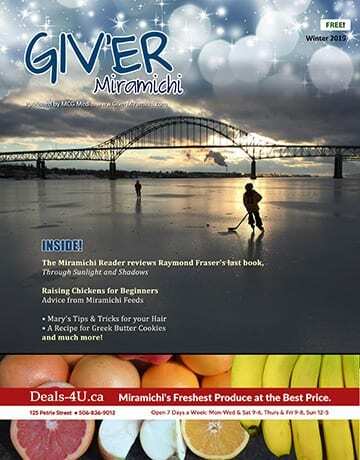 • Discover how to get a Free Trail Pass at Miramichi Cross Country Ski Club with a NB Library Card. • James Mullinger’s new tour, Almost Canadian hits the Vogue Theatre April 27th. • Activities at the Chatham Public Library for February and March. 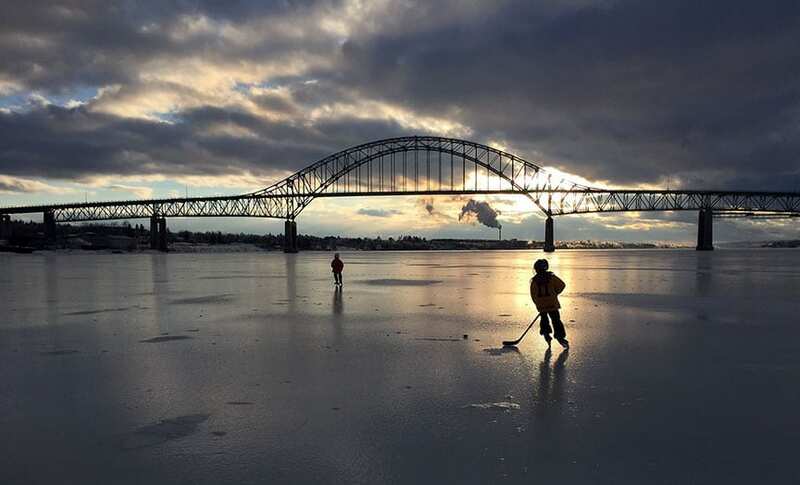 This beautiful photo from the cover of Giv’er Winter 2019 was taken by Tianna McFarlane of her son and friend enjoying a skate on the Miramichi River. One Response to The Winter Issue of Giv’er Magazine is Here! That is my grandson Lincoln Allison skating with his friend, Evan. Thanks Tianna for taking this picture last winter.